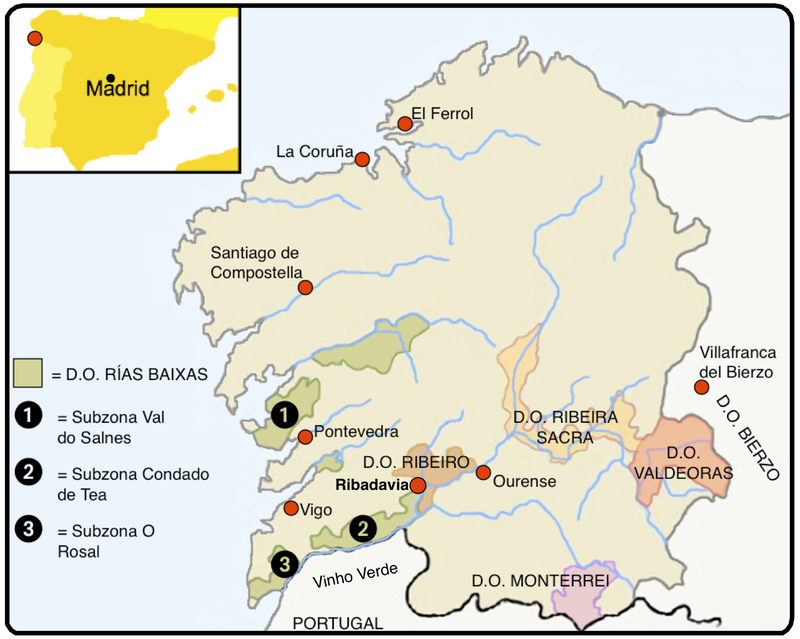 As mentioned before in these pages, I love the idea of Albariño white wines from Galicia’s Rias Baixas region, but am often disappointed by them. Other than at the top end they never seem to have either enough concentration at one end of the spectrum, or enough acidity at the other. In order to keep the dream of great wines from this part of Iberia alive I have taken to trying as many wines as I can from the neighbouring Galician and Portuguese regions – as well as Basque Chacoli. In recent months I have tasted some memorable Godellos from the Bierzo, Valdeorras and Ribeira Sacra regions as well as stunning Alvarinho and Alvarinho-Trajadura blends from just over the Minho River in Portugal. I also tried a wonderful blend of Godello and the less widely seen Treixadura – this is the Spanish spelling of Trajadura. 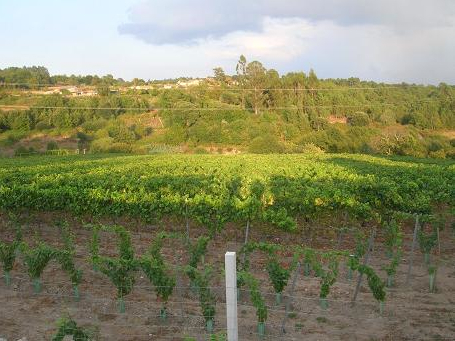 Which brings me on to the rarely seen wines of Ribeiro region – this area has always interested me because it is the home of Torrontes. Most of us know Torrontes from Argentina, but it is actually a Galician grape, but gets treated very badly in its homeland. It is almost always in the supporting role – often blended with Palomino of all things – and hardly ever the star. I so wish some Spanish winemakers would use this amazing grape to its full potential – why Torres used Gewürztraminer when he could have tried Torrontes in his Viña Esmerelda beats me. Torres Torrontes has a certain ring to it don’t you think? I have tried precious few wines from D.O. Ribeiro over the years and until this week they had all failed to move me. There was nothing at all wrong with the Pazo Ribeiro, either their pure Palomino, Palomino-Torrontres blend or their pure Treixadura, especially at €3 a bottle in Spain, and the Waitrose own label Ribeiro was perfectly nice if uninspiring and somewhat expensive at £7.99 a bottle. 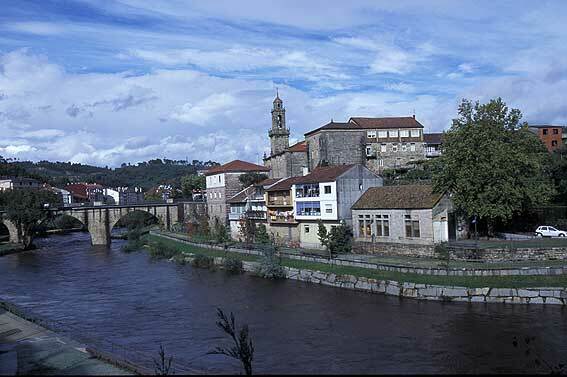 Ribeiro is a fascinating place, it is based around the charming little architectural gem of a town of Ribadavia, right on the junction of the Avia and Miño Rivers. The region has a long history of making wine and indeed exporting it – records show that back in the 17th century the area was exporting wine to Britain. In more modern times it has enjoyed huge success in Spain, but unlike Rias Baixas has failed to capitalise on that with exports. In part this must because the Ribeiro wines that are easily bought in Spain are mainly the cheaper end cooperative wines – perfectly fine and drinkable, but lacking real interest. Indeed many of them are made from the dull Palomino – this was inflicted on the region by Franco’s agricultural policies and thankfully is no longer being replanted – or blends that include Palomino anyway. That has the effect of blunting the thrill and excitement that can be achieved with the region’s proper white grapes – Treixadura and Torontes, but Godello, Macabeo, Loureira, Albilla, Macabeo and Albariño can all be used. Traditionally the region produced, and still produces, its own style of sweet wine called Vino Tostado. Nowadays these can only be made from the native grape varieties, so not Palomino, but rather interestingly can be red from the local traditional red grapes; Caíño, Ferrón, Sousón, Brancellao and Mencía. Basically the grapes are picked very ripe and then dried for 90 days hanging in bunches – similar to a straw wine or a Recioto di Soave. The finished wine must spend a minimum of 180 days in oak or cedar wood barrels and have at least 300 grams per litre of residual suger. I have never been able to try one as production is tiny, but will give it a go as soon as I can – hopefully with the wonderful Galician almond cake called Tarta de Santiago. However, I have finally tried a dry wine from this region that lived up to all I hoped for, sadly it had no Torrontes in it, but the same winery makes one and I shall report back once I have tried it. Very enticing shiny pale gold colour. The nose has a slight herbal tinge together with notes of fresh pair, citrus and a floral quality, gentle rather than full-on aromatic. The palate was quite rich and concentrated – fresh rather than crisp – with some real richness and texture balanced by the right amount of acidity. The flavours were of soft pear, hints of apricot and a dash of citrus. This was a real delight, very drinkable and also very good quality – it performed perfectly as a wickedly moreish aperitif as well as coping with garlicy pork steaks, daupinoise potatoes and a salad. I think it would be superb with semi-hard cheeses too – 90/100 points. £12.95 from Lea & Sandeman – so it isn’t dirt cheap, but it is hugely enjoyable and well worth the price – I cannot wait to try their Treixadura-Torrontes blend. So I understand, thanks for mentioning it. It makes sense as those 2 grapes were definitely in Argentina, wonder why they called it Torrontes though?